Scunthorpe United and Blackpool are set to clash at Glanford Park on Friday afternoon in League 1, with kick off at 3pm. The away side currently hold tenth spot after forty-two matches, with fifty-eight points on the board, while the hosts are in nineteenth on forty-five points, one above the relegation positions and fighting for their lives in League 1. On the previous occasion that this pair faced one another, it was Blackpool who came out victorious in a 1-0 win. Scunthorpe United have not been the victors in any of their last five matches, losing four times and drawing once while scoring just three goals. After suffering defeat at the hands of Portsmouth last month by two goals to nil, Scunthorpe were subsequently beaten away from home by Rochdale as the scoreline read 3-1 by the end of the ninety minutes. Their final outing of March came as yet another loss, this time when hosting AFC Wimbledon, as the away side netted twice in the first half to take home a 1-2 victory and three points. 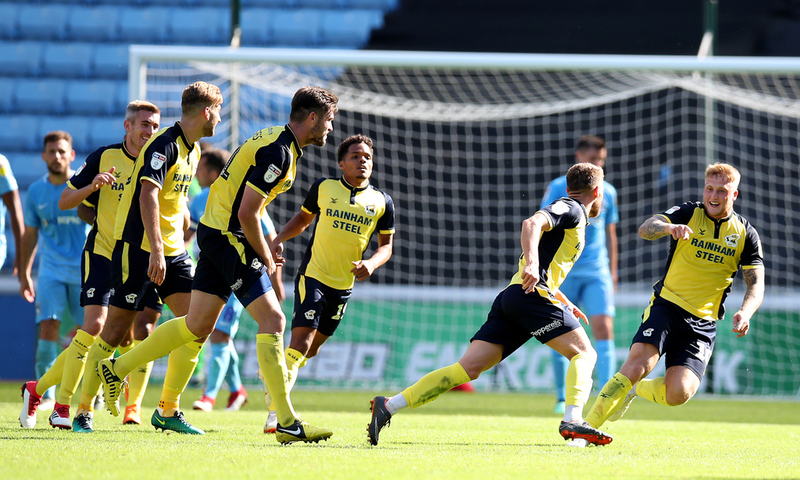 A stalemate versus Shrewsbury Town proved to be a disappointing point as Adam Hammill scored an own goal to equalise for their opponents with six minutes remaining, while their last fixture came as another defeat, as Burton Albion ran out resounding 0-3 winners. Lee Novak has bagged eleven goals for himself during the campaign and that puts him at the top of the scoring leaderboard for Scunthorpe, however, with only one goal in his last thirteen appearances, he will be majorly let down by his end to what was a good season for the 30-year-old attacker. He is seconded on the charts by Josh Morris and Kyle Wootton as both individuals have gotten on the scoresheet four times this season, and it is Anthony McMahon alongside George Thomas at the very top of the providing charts for the club with both men on six each, Morris just behind with five. The visitors for this one have not been in fantastic form themselves, losing twice, drawing twice and winning once in their last five outings while failing to keep a single clean sheet over that time. A 3-0 defeat versus Burton Albion was followed by an important and impressive 1-4 thrashing of bottom side Bradford City the next week, although they have not come out victorious since. 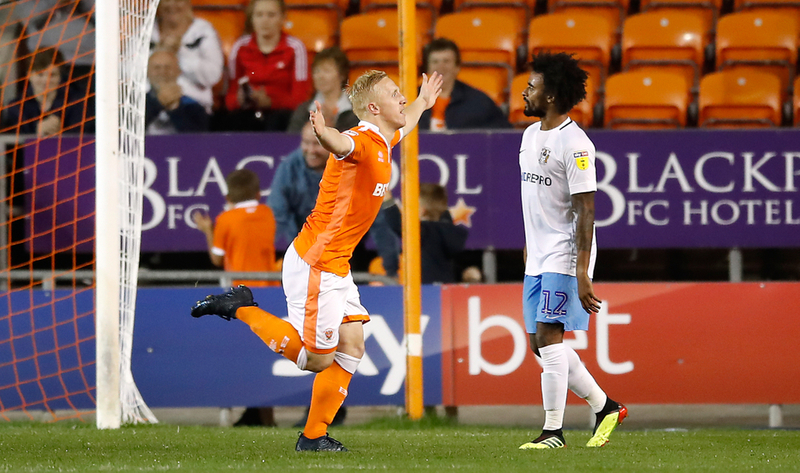 In their final encounter of March, Blackpool welcomed Plymouth Argyle to Bloomfield Road and rescued a point through two late strikes from Marc Bola and Curtis Tilt in the last six minutes in a dramatic finish to the tie. They then made their way to Luton Town where they held the league leaders to a point in another 2-2 stalemate in what turned out to be a rather disappointing result as they had taken a 1-2 lead in the second half against the ten men of Luton, who found an equaliser with four minutes remaining on the clock. In their most recent fixture, Blackpool were beaten by Peterborough United by one goal to nil. On top of the scoring charts for Blackpool right now is Armand Gnanduillet with ten goals on the board, four clear of his nearest challenger Nathan Delfouneso on six and six clear of Curtis Tilt who can boast just four up to now. Gnanduillet has bagged twice in his last five games, both of which arrived in the beating of Bradford City last month. Delfouneso has not gotten amongst the goals in fourteen matches, his last arriving in January versus Coventry City. The assists have predominantly come from Callum Guy, Delfouneso and Tilt who each have three for the campaign so far.